I used the sturdy Pion Design Palette to construct this 3-piece card keeper to hold cards and envelopes made from the new collection The Songbird’s Secret. I’m especially loving these awesome blues! WOUW Tara, this is soo gorgeous as usual, you just never disappoint. 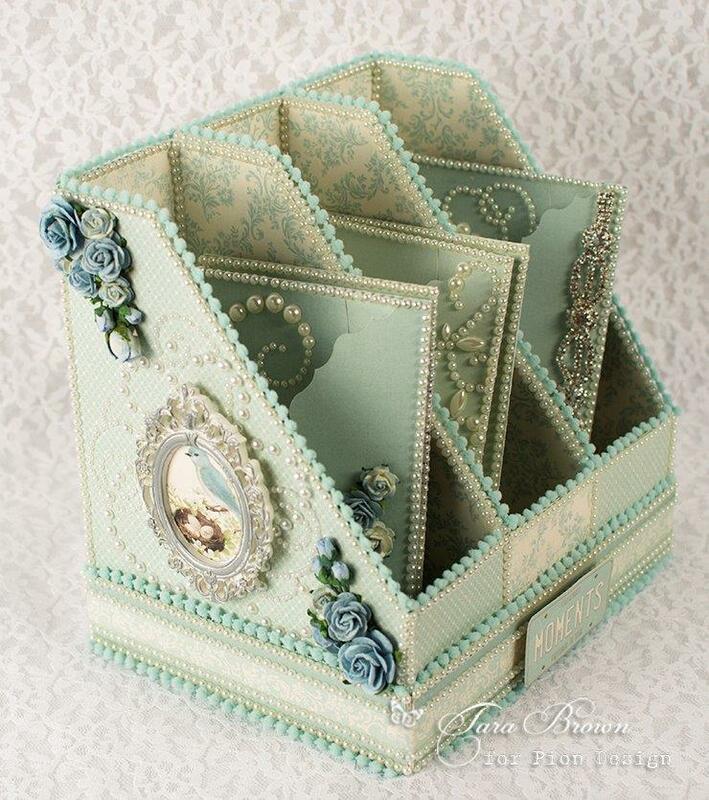 I love this idea with a card keeper like this, and can also see one bigger made with several more rooms in to hold different kinds of cards, so we can have them on displkay if someone is selling their cards, that would look amazing. Wow Tara simply gorgeous. Hope you don’t mind me asking, when you put the manual tutorial (Oct 8th ) for the camera the bellows will not print properly, they come out all squashed up. Anything I can do to rectify this?.